Chavez's pal or US-backed rich kid: Who will inherit Venezuela? 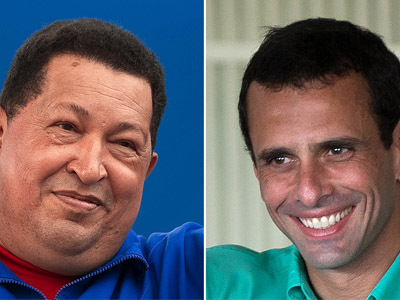 An election to be held in Venezuela in 30 days will likely see a tough stand-off between “the Chavez man” Nicolas Maduro and the late president’s main opponent, US-supported Henrique Capriles Radonski. Three months prior to his death, Hugo Chavez made it clear to his loyalists he wanted Vice-President Nicolas Maduro to replace him if he did not win his battle against cancer. The chosen successor had already made a momentous declaration just hours before Chavez’s death, laying the blame for the Commandante’s illness on his political enemies and announcing that two US Air Force officials had been expelled from the country for spying on the military and plotting to destabilize the country. Maduro made it all the way up to the top of the Venezuelan political elite from a grassroots level. He was a bus driver and later a trade unionist for the workers of the Caracas Metro transport system. Maduro got acquainted with Hugo Chavez while he served his prison term for an unsuccessful 1994 coup. Maduro’s wife, Cilia Flores, was a lawyer leading Chavez's defense. In 2006, Maduro became Venezuela’s Foreign Minister. In 2012, he took the vice-presidency, and is now the country's interim leader. The daunting task of pursuing ‘Chavismo’ without Chavez now rests upon his shoulders, with the majority of analysts believing Maduro is capable of rising to the occasion. His grassroots past is likely to be advantageous, winning him respect from the poor and the underprivileged, the bulk of the late president’s loyalists ‘Chavistas’. As for the army, it has already pledged support for the interim president. “Despite his lack of charisma in comparison to Chavez, Maduro is in many ways a very, very popular figure in Venezuela and one who would naturally win election... were it not for meddling from the United States,” geopolitical analyst Eric Draitser told RT. And that meddling is now embodied in Chavez’s main opponent in the past election, the 40-year-old governor of Miranda State, Henrique Capriles Radonski. He “coincidently enough was in Miami and New York within the last 48 to 72 hours. Obviously, they are going to be gearing up for a battle royale [at the snap presidential elections within 30 days],” author and historian Gerald Horne told RT. Preferred travel destinations can sometimes also tell a lot about one’s political views. 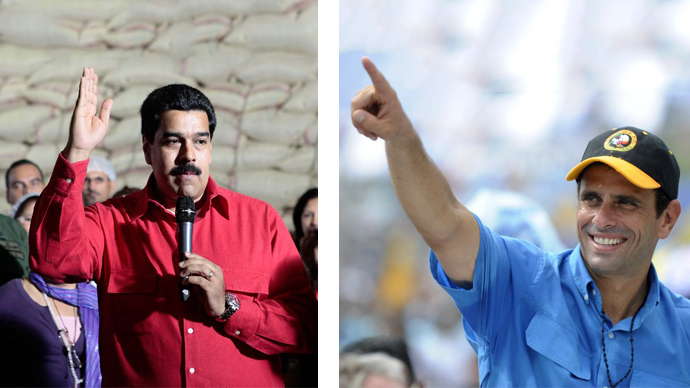 For Maduro it’s Cuba, whereas Capriles favors the US. “This has also been typical… over the past decade, really, for members of the opposition of Venezuela to frequently come to the United States to meet with their… financiers, because they get multimillion dollar funding from the US government or its different agencies,” Eva Golinger, author and lawyer said to RT. At the previous election, Capriles demonstrated his resolve to change Venezuelan foreign policy radically, heralding a possible strengthening of ties with the US. Unlike both Chavez and Maduro, Henrique Capriles Radonski comes from a wealthy family of business owners. He is a free market proponent, not approving of the economy regulations practiced by Chavez. As in October 2012, two different philosophies are bound to clash: “Chavismo”, promoting social democracy in the generic sense of the word and pro-US ideology with neoliberal policies, privatization, and primacy of ties with Washington. Five months ago Chavez got 54 per cent of the vote against 44 per cent for Capriles. The election in 30 days is going to show whether Chavez’s ideology can survive its mastermind’s death. All signs point towards an electoral victory for the Chavistas, Dr. Francisco Dominguez, head of the Centre for Brazilian and Latin American Studies at Middlesex University and Secretary of the Venezuela Solidarity Campaign, told RT. “They won the presidential elections in October, they won the governorship elections on the 16th of December – 20 out of 23 governorships – and on the same day they won 22 out of 23 local legislatures, which is quite impressive,” Dominguez said. 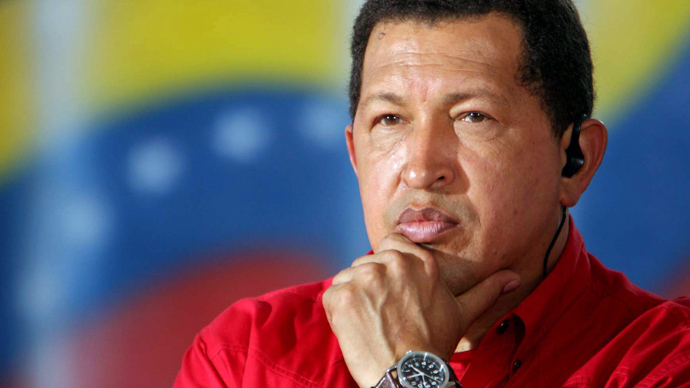 “Chavez has been on the ascendency. If you look at what he won: 3.7 million in 1998, 3.8 million in 2000, 5.8 million in 2004, 7.3 million in 2006, and on the October 7 2012 election 8.2 million. The trend is clear. It doesn’t mean the opposition doesn’t have its strengths, but the Chavistas have much more,” he continued. 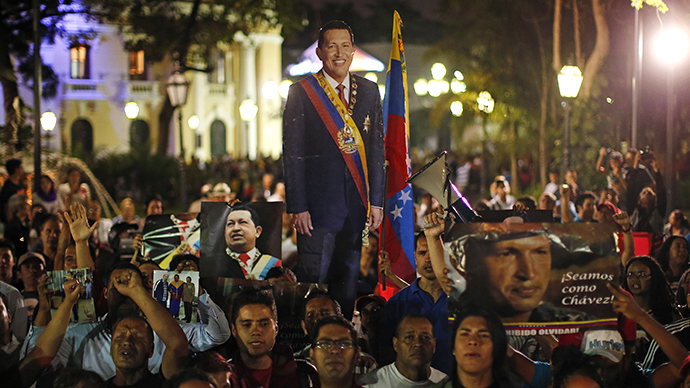 Dominguez believes the Chavistas have a hard battle ahead of them, however, as some elements within the deeply divided opposition may still rely on “subversive” methods to grab power. These realities have put maintaining stability throughout the pre-election period high on the agenda. James Petras, professor of Sociology at Binghamton University in New York, however believes the US’s capability of destabilizing Venezuela is overestimated. “I think the security forces in Venezuela remain loyal to the constitutional process. I think they represent a stabilizing force, being deeply influenced by Chavez’s social and political agenda,” Professor James Petras told RT.